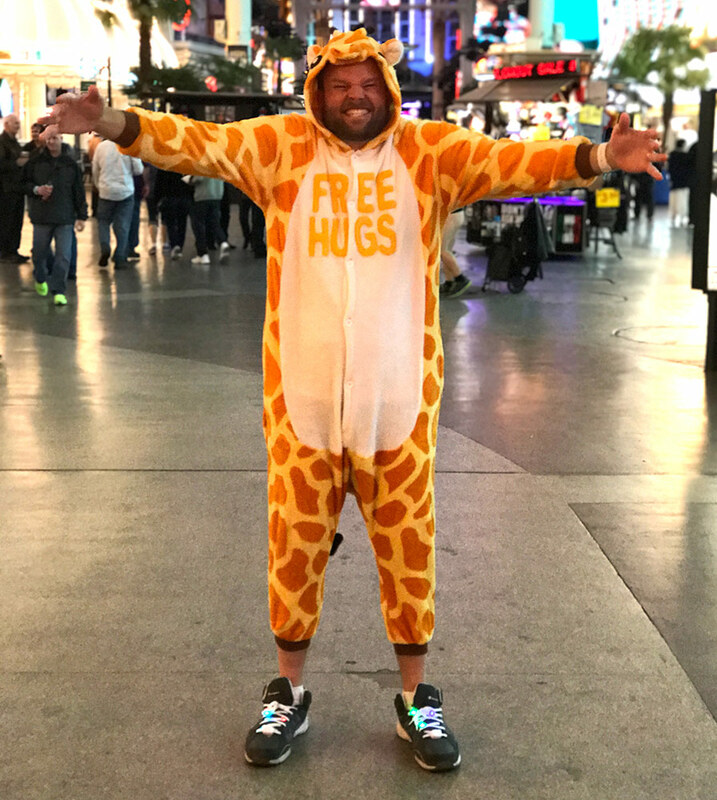 Since we all agree hugs are nice, let's start giving them! 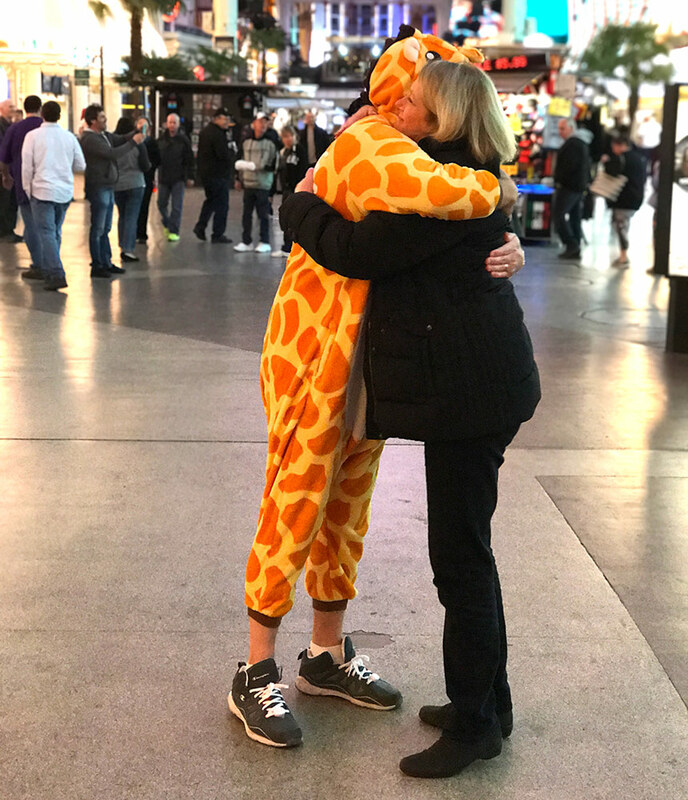 If you’re a nice, quiet person and you’re going to wear a onesie, you don’t want to be a dinosaur or a monster. 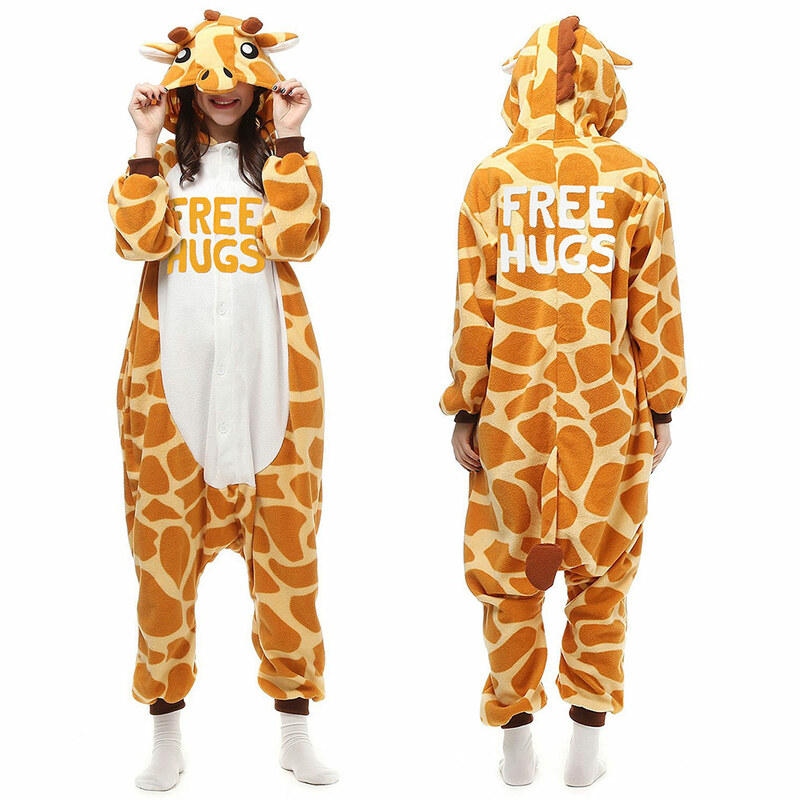 You want to be a gentle giraffe, just minding its own business, chilling out all cozy-like, maybe munching on some tasty leaves. 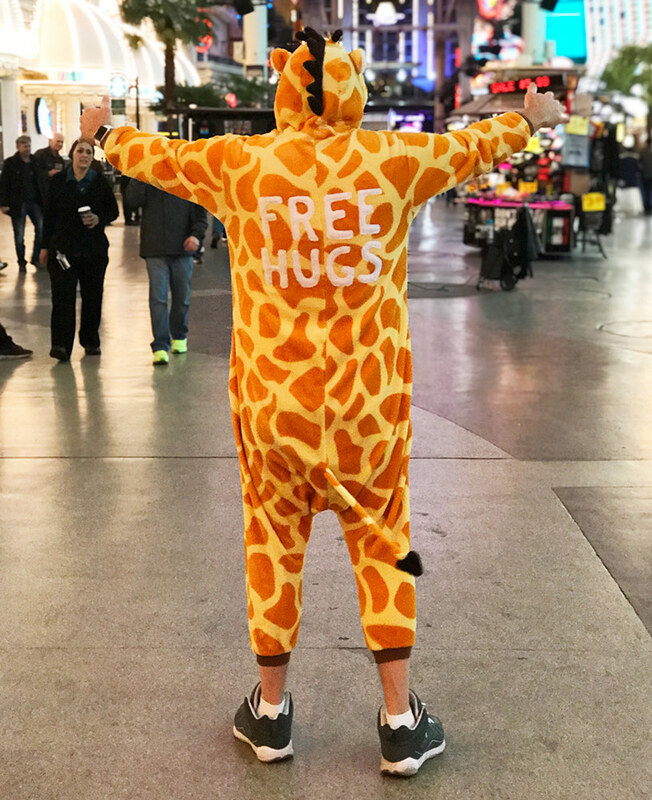 You don’t want to be ignored though, so the “free hugs” message will say “I’m nice and quiet, but I’m also wouldn’t mind a friend to cuddle with.” Or, maybe you’re tired of that nice/quiet stereotype and you want to dress like a giraffe to show people giraffes can be edgy and damn cool. 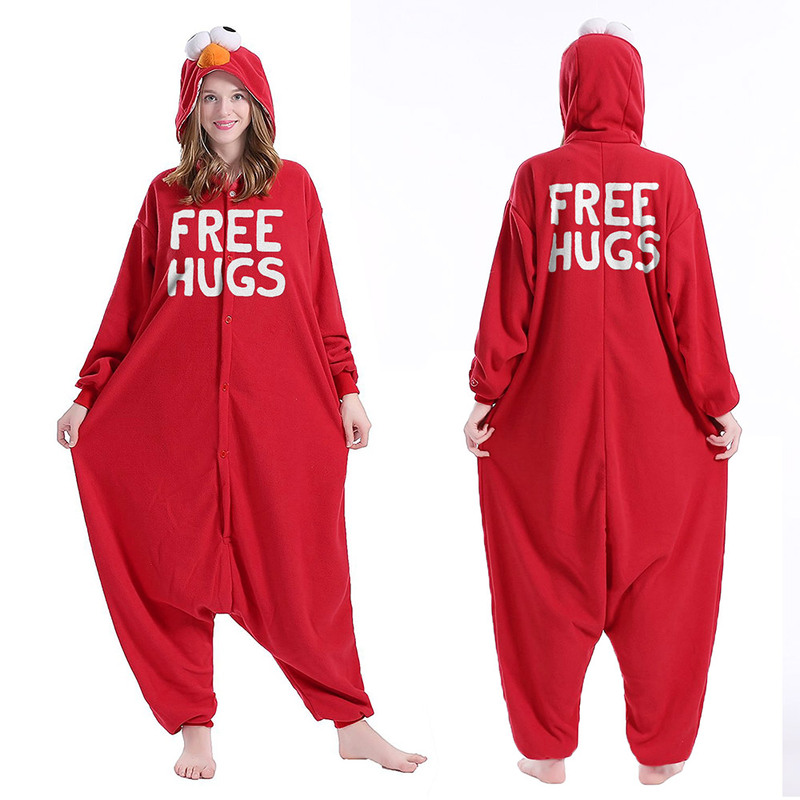 In either case, you have to have this onesie. 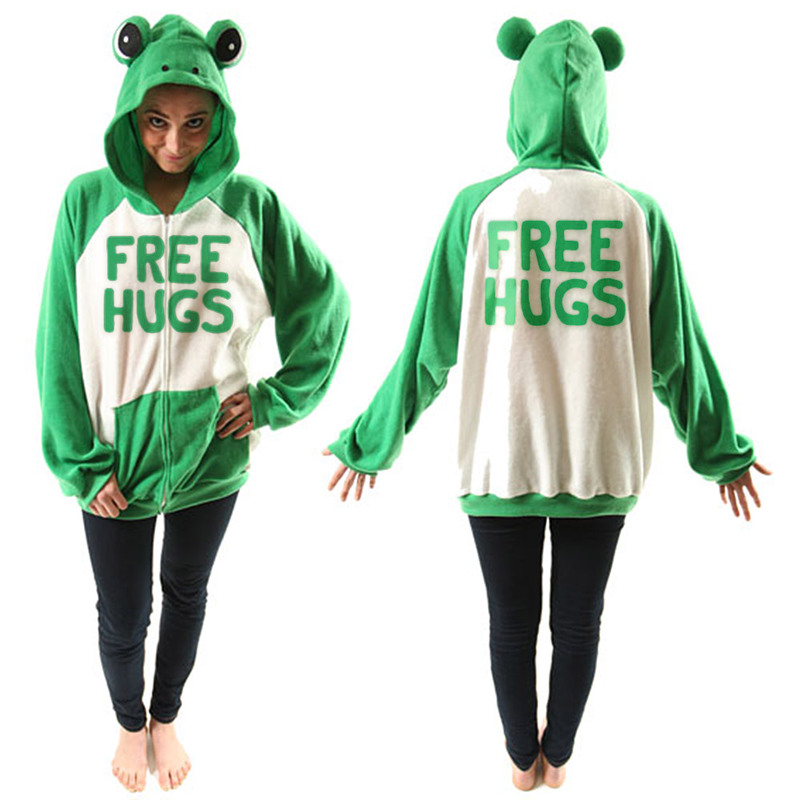 hugsarenice.com is the only place in the world that sells “Free Hugs” onesies, and we make them better than anyone else! The letters are hand-drawn and cut out of felt to give them that homemade feeling, then they’re ironed-on by a real person so that they are permanent and can withstand years of washing/drying without any special settings.